Museums and Indigenous communities have long had contentious interactions and relationships. 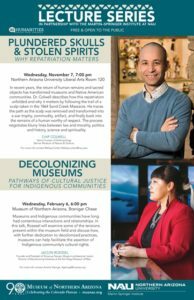 In this talk, Jaclyn Roessel, Founder and Present of Grownup Navajo, will examine some of the tensions present within the museum field and discuss how, wit h further dedication to decolonized practices, museums can help facilitate the assertion of Indigenous community’s cultural rights. Jaclyn Roessel is the Founder and President of Grownup Navajo, Museum Professional; recent Director of Decolonizing Initiatives at the San Diego Museum of Man. For more information, contact Amelia George, ageorge@musnaz.org. 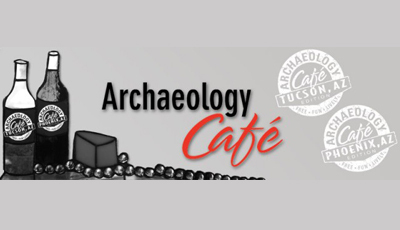 This program is supported by an Arizona Humanities grant.